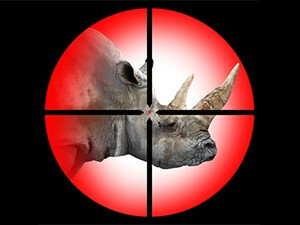 Sensors will be placed in rhino horns in Tanzania so that game rangers can remotely track them and help prevent poaching. Endangered black rhinos in the Mkomazi National Park in Tanzania will be fitted with Internet of things (IOT) sensors to monitor their activity and hopefully prevent poaching. Tech company Semtech, a supplier of analogue and mixed-signal semiconductors, announced this week that its LoRa devices and wireless RF technology will be used in the sensors implanted directly into the animals' horn. These LoRa-equipped sensors were developed in partnership with the Internet of Life and the ShadowView Foundation, two organisations which use innovative technology to protect the environment and endangered species. The sensor gives park rangers the ability to accurately monitor the whereabouts and activities of the rhinoceroses and keep them safe from poachers. The sensors are part of a wider IOT security solution that is deployed throughout the park. Other sensors are used in the park gates to monitor their opening and closures, on worker vehicles and park officials. All data is transmitted from the various sensors within the network to an observation room where the tracked items appear on a digital map. "Protecting the lives of endangered black rhinos and other animal species is a mission that is very important to us," says Tim van Dam, Internet of Life spokesperson. "From a technology standpoint, our IOT sensor network gives us everything we need to be successful, providing long-range coverage, a wireless signal that is difficult for poachers to detect, and low-power operation to ensure the batteries in our sensors can last for at least a decade." Vivek Mohan, Semtech director of wireless products, says this application of IOT demonstrates its use beyond businesses, homes and municipalities, and shows it can support non-profit, environmental, health and life-preserving initiatives. The key features of the sensors include a long range of up to 48km in rural areas, low power usage (battery lifetime of up to 20 years depending on the application), geolocation which enables tracking applications without GPS or additional power consumption, low costs, and an open standard which ensures interoperability among applications, providers and telecom operators.